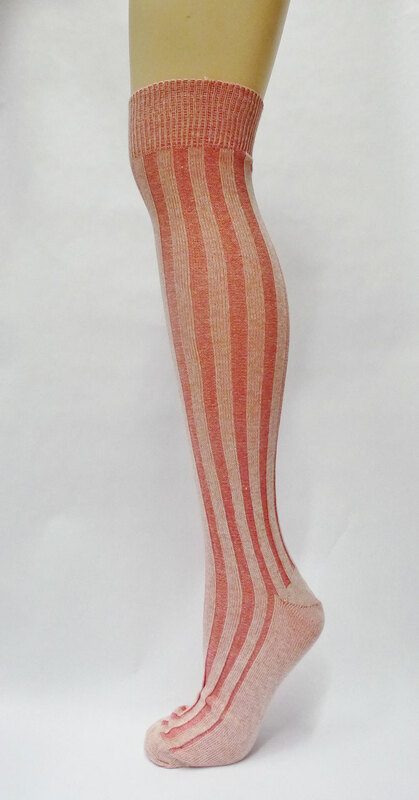 Cotton vertical ribbed stockings, One Size fits most. Available in two color combinations- Olive Green & Cream plus Red & Cream. These stockings are only just over the knee in height with the Olive Green stockings running a wee bit shorter. The ribs help these stay up really well without garters, plus they look quite keen. There is a limited stock on these, so get them before they're gone. *Please note that web specials and closeouts are not available for refund or exchange.